Cemetery Preservation Meeting- Nacogdoches, Texas. Jeff Medley and Andrea Himmelsehr, right, perform during a Moonlight Meander event at Mesquite Cemetery. Mesquite Cemetery, the resting place of many of the city’s pioneers, is located at 400 Holley Park Drive, just south of downtown. Although it was in use before the town was officially platted, the site was deeded for cemetery use in 1892. It received its historical designation in 2001. Hanging out in a cemetery isn’t the first thing most people think of as entertainment. Historic Mesquite Inc., along with the Mesquite Community Theater, have managed to turn Mesquite Cemetery into a unique entertainment opportunity and history lesson for the past several years with their Moonlight Meander events. Residents will have the opportunity to see history come to life again this year on May 16 and 17. 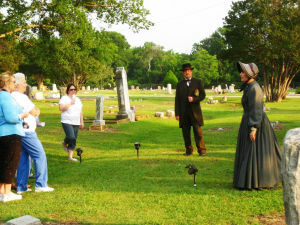 The meander allows participants to walk through the cemetery where they will be met by actors portraying various people buried within the cemetery. 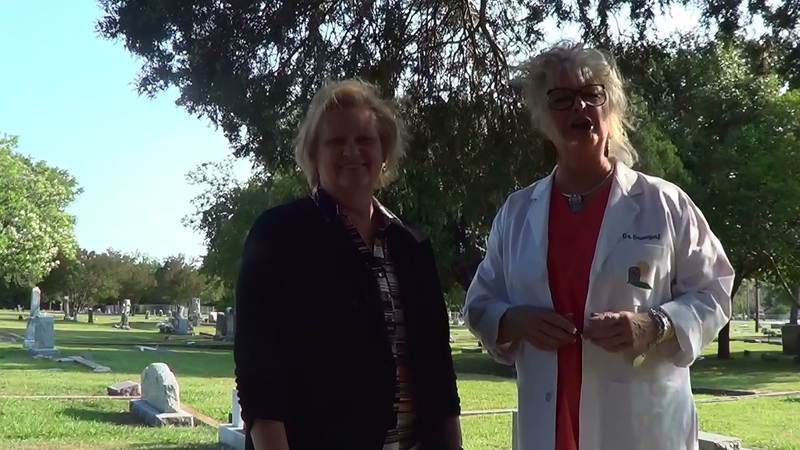 “We describe the meander as a walking tour of the cemetery that comes to life,” said Becky Allen, Historic Mesquite Inc. assistant executive director. Each actor will stop the group and tell their life story. This year there will be 10 people portrayed at seven different stops within the cemetery. Each group participating in the meander will be led through the cemetery at 10-minute intervals. This will allow for a total of 13 tours per night, beginning at 7 p.m. on May 16 and 6:30 p.m. on May 17. Each tour group will contain no more than 16 people. Tickets will go on sale March 31 and will be a flat fee of $10 this year. The event is not age-appropriate for those younger than 7. Tickets may be purchased by calling the Historic Mesquite office at 972-216-6468. The event has sold out quickly each year, so Historic Mesquite Inc. recommends calling early to reserve a spot. “We look at this event as an educational tool. We try and use the funds to cover our costs for producing it,” Allen said. Historic Mesquite Inc. is still gathering donations to meet a challenge grant of $15,000 by the end of the year. To date, the organization has raised a little more than $2,000 toward the goal. Donations can be made by contacting Historic Mesquite Inc. In May, 2014, Historic Mesquite Inc. will be having it’s fourth Mesquite Moonlight Meander Cemetery Tour at the 1859 Mesquite Cemetery located at 400 Holly Park Drive, Mesquite, Texas. State tune and I will share with you the dates when they become available as well as their program. Meanwhile, this video is of Dr. 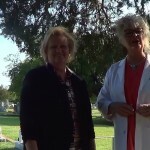 Graveyard and Charlene Orr, the Executive Director of Historic Mesquite Inc., filmed last May, 2013, explaining what the Mesquite Moonlight Meander Cemetery Tour is about.